Xiaomi doesn’t want to lose any bet in the smartphone world and it is also eager to jump up in the global rankings. After ensuring their good fortune in India with their newly launched Xiaomi Mi 4i, they are working on a 2015 flagship. 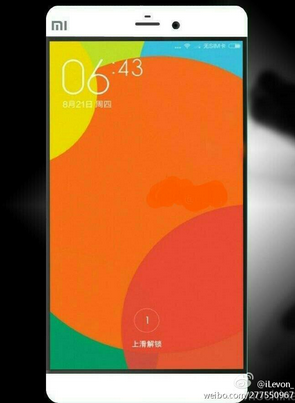 That’s right, we are talking of the upcoming Xiaomi Mi5. As per the details leaked so far, the Chinese smartphone manufacturer is looking to release two new phones, Mi5 and Mi5 Plus. Now you got one more reason to call it Apple of China. We are aware of certain specifications and the launch date of Mi5 smartphones. Both devices are going to be available in the month of July this year. Earlier, it was leaked that the device is going to have a fingerprint sensor. Talking of the specifications specifically, the regular Mi5 is going to have the 5.2inch display with 2k resolution (Quad HD), 3GB of RAM, 16MP rear camera and a 3,000mAh battery. The Snapdragon 810 is going to be at the heart of the device, powering it up. Not to forget, current Mi4 is also being powered by the same chipset. It won’t be a surprise if the device comes up with a 4GB of RAM and a 20MP rear camera. The front camera is also expected to hold an 8MP shooter. In short, the device is going to have specifications which are common in 2015 flagships launched till now i.e. LG G4, HTC One M9, Samsung Galaxy S6, and many more. For people who love bigger devices with display size between phablet and a 7inch tablet, Mi5 Plus is going to be a real treat. It is expected to have a 6inch display with again 2k resolution. 4GB of RAM, 32GB internal storage, 16MP rear camera and Snapdragon 810 chipset are going to be internal components. Optical Image Stabilization is also going to be the part. The bezelless design is also expected. If this device comes out with these specifications, then this is definitely going to be a deal breaker as Xiaomi will definitely make it available at an affordable price. A lot of people are all ready to see how the 2k display will look in a 6inch screen size. So, these are the details we are aware so far. Let’s wait for the month of July, when Mi5 and Mi5 Plus will be unveiled. Till then, stay tuned as we are surely going to have more leaks.